Please excuse the sporadic posts, I can't type much, my hand isn't broken (thankfully) but it is very swollen and bruised. Also, my leg is still infected, on my second lot of antibiotics and also on a second type of antibiotics. But Rona is doing well, she is taking great care of me. 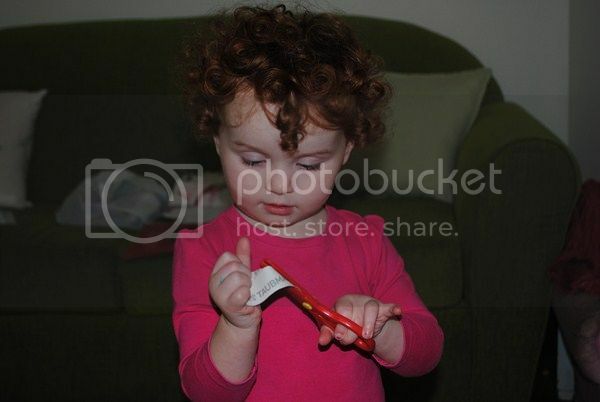 She has discovered a love to cutting things. I have bought her a set of plastic scissors, they have a small spring in them to make them easier to use for preschoolers.